Sudhir Singh is an Associate Professor of English in the Dept. of Higher Education, J&K Govt. , currently posted at Govt. College for Women Udhampur J&K. 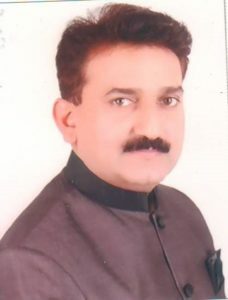 He has 17 years’ experience of teaching UG & PG classes and educational administration- Convener IQAC, Coordinator IGNOU etc.- in addition to 19 years’ experience as Announcer/Newsanchor Doordarshan. Closely associated with the Board of Studies, University of Jammu for the last 14 years , he designed various syllabus modules for UG/PG classes. As a content writer developed study modules for distance learners of Jammu University; also prepared a module on Syllabus Design for epgPathshala of the UGC http://epgp.inflibnet.ac.in/ahl.php?csrno=13. He is a lifetime member of many national international associations. He has published widely and presented papers in many national /international conferences. He is guest faculty of Sher-e-Kashmir Police Academy J&K, and recognized translator /reviewer with National Translation Mission (NTM) & Confederation of Scientific and Technical Terminologies(CSTT). Though formally trained in Australian fiction, his recent research interests include Folklore Studies, Eco-critical Studies & Dogri-English Translations.